Any advertisement on the website of the company PMCtire inc. ("PMCtire" or "we") constitutes an offer to contract on behalf of PMCtire, which is conditional on the availability in stock of the items being offered (the "Offer to Purchase"). When you complete an online purchase, PMCtire receives your acceptance of its Offer to Purchase. You will then receive from PMCtire a first email confirming the details of the Offer to Purchase and a pre-authorization of the amount corresponding to the price of this Offer to Purchase is made on your credit card. You will then receive a second email confirming that PMCtire inc. holds the items of your order in stock. At that time, the amount of the invoice is taken from your credit card via our secure payment gateway. The Offer to Purchase accepted by you constitutes a valid contract between you and PMCtire governed by the laws of the Province of Quebec. Since your acceptance of the Offer to Purchase is received by us at our offices in Sherbrooke, the sale transaction takes place in Sherbrooke, in the province of Quebec, Canada. 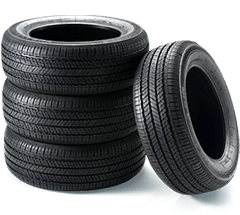 PMCtire reserves the right to cancel an order if it does not hold the products which are the subject of the Offer to Purchase. Finally, the products ordered will be shipped to you. If there is a mistake on our part concerning the price, the picture or the typography of the ordered or shipped products, we will gladly take them back and offer you a full refund or send you the desired products at the right price. All informations provided on this website (for account creation or completing transactions): name, shipping and billing address, e-mail address, credit card numbers and expiration date have to be true. You will be liable and responsible for any damages, loss or cost related to false, incorrect or incomplete informations provided for inscription or completing transaction. 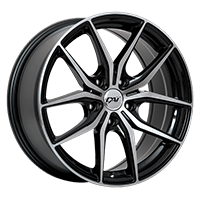 The entire website content (pictures, texts, illustrations, logos, graphics, slogans, products and service names, trade names are trademark) is licensed by PMCtire inc. Any duplications of the materials of this site is prohibited. All other trademarks that are on this website are properties of their respective owner. No trademark, or service names autorisations of these companies are allowed according to the material of this site. Visitors may post comments and submit suggestions, ideas, comments, questions, or other information, as long as the content is not illegal, threatening, invasive of privacy, infringing of intellectual property rights, or otherwise injurious to third parties and does not consist of or contain software viruses, commercial solicitation, chain letters, mass mailings, or any form of "spam." You may not use a false e-mail address, impersonate any person or entity, or otherwise mislead as to the origin of a card or other content. If you do post content or submit material you grant us a nonexclusive, royalty-free, perpetual, irrevocable, and fully sublicensable right to use, reproduce, modify, adapt, publish, translate, create derivative works from, distribute, and display such content throughout the world in any media. You grant us and sublicenses the right to use the name that you submit in connection with such content, if they choose. You warrant that you will indemnify PMCtire inc. for all claims, loss or extra cost resulting from content you supply. What Information does PMCtire Collect? We collect personal information when you open an account, submit orders or purchase merchandise from the website, or otherwise provide information to participate in the services and offerings on the website. The personal informations collected are for exemple: your name, e-mail address, billing address, shipping address, phone number, mobile phone number, credit card information, debit card information, etc. Please note that when you make a purchase on our website, we may need to contact you via phone or e-mail if we have questions regarding your order. Non-personal information does not identify you as an individual. When you visit this website, we may collect "click stream" data, IP address, server address, domain name, browser information, and other non-personally identifiable information regarding your visit. This information may be combined with information you have provided to us, which will enable us to analyse and better customize your visits. Like many websites, we may collect information regarding website usage by using cookies and tracking technologies. This website uses "cookies", a technology that installs a small amount of information on a website user's computer to permit the website to recognize future visits using that computer. Cookies enhance the convenience and use of the website. For example, the information provided through cookies is used to recognize you as a previous user of the website (so you do not have to enter your language preference every time), to offer personalized webpage content and information for your use, to track your activity at the website, to respond to your needs, and to otherwise facilitate your website experience. You may choose to decline cookies if your browser permits, but doing so may affect your use of the website and your ability to access certain features of the website or engage in transactions through this website. We will not share, sell, trade or transfer personal information provided by you on or through this website to third parties. We may share personal information you provide to us with a third party if we are required by law to do so. The personal information that we collect may also be transferred as an asset in connection with a merger or sale (including any transfers made as a part of an insolvency or bankruptcy proceeding) involving PMCtire inc. or as part of a corporate reorganization, stock sale or change of control. We take administrative, technical and physical precautions to safeguard your personal information against loss, theft, and misuse, as well as unauthorized access, disclosure, alteration, and destruction and requires its third-party service providers to do the same. You can help us by also taking precautions to protect your personal data when you are on the Internet by changing your passwords often, using a combination of letters and numbers, and making sure you use a secure web browser. We also offers newsletters and promotional communications. You may choose to subscribe or unsubscribe at the bottom section of your personal account of this site. PMCtire shall not be held liable for non-performance, in whole or in part, of any of its obligations whatsoever toward you, nor for damages or losses you may suffer, if such non-performance, damages or losses result from an Act of God or from circumstances beyond its control.